Film Afrika, one of South Africa’s leading television and film production and servicing companies, is pioneering the move towards environmental sustainability by using unique mobile water purification trailers from Bluewater on the set of Raised By Wolves, TNT’s highly anticipated serialized sci-fi series from master storyteller and filmmaker Ridley Scott (The Martian, Blade Runner, Alien: Covenant), which marks his television directorial debut. The Raised by Wolves series is currently in production in the Western Cape. 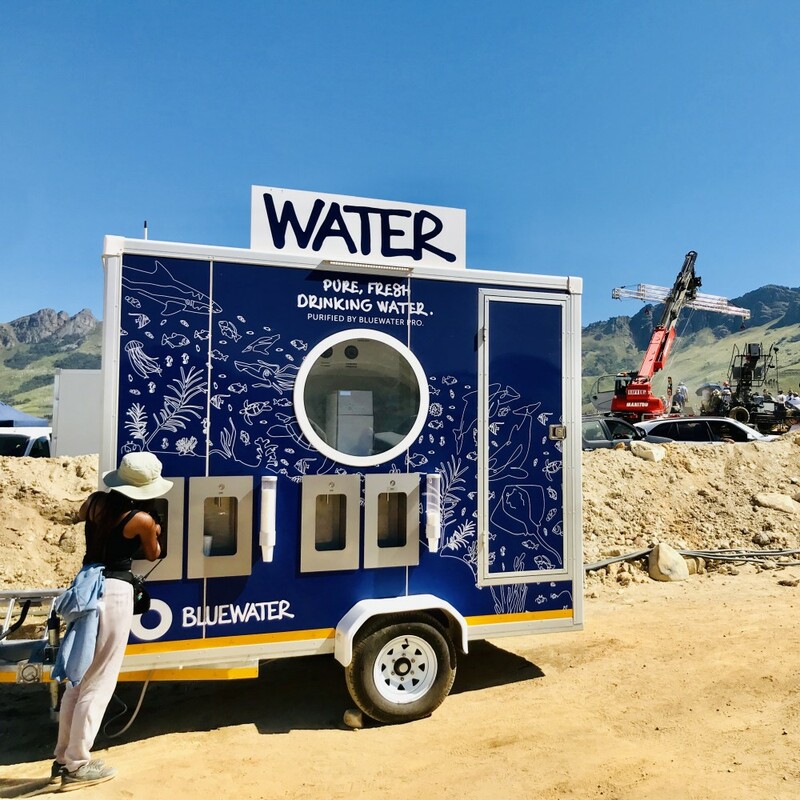 The Bluewater Trailers are keeping the 400-strong crew hydrated during the peak of the South African summer and since December have already eliminated the use of almost 50 000 single-use plastic water bottles on set. Throughout the duration of the production it’s estimated that the Bluewater Trailers could reduce single-use plastic waste by up to 581 818 bottles, while significantly lowering the drinking water cost to the production company. The Bluewater Trailer is a mobile water station dispensing purified, non-potable chilled water that is either still or sparkling. Bluewater’s flagship product, the pioneering and industry-leading Bluewater Pro 400, harnesses a patented second-generation reverse osmosis purification process called SuperiorOsmosis™ that can generate up to 7,000 litres of pure water every day including from normally tough-to-purify brackish water or borehole water. Raised by Wolves crew members, working since 2018 on an isolated outdoor site, are each refilling a multi-use water bottle with still or sparkling chilled water dispensed from Bluewater Trailers located in multiple positions around the set. In the initial set-build period alone, from 3 December 2018 to 1 February 2019, approximately 16 238 litres of water were provided to the set, the equivalent of around 49,215 330ml single-use plastic water bottles. Furthermore, because the water provided by Bluewater is sourced and purified from a non-potable supply, Raised by Wolves is not impacting Cape Town’s water scarce municipal water resources – something close to the hearts of both Bluewater and Raised by Wolves. With the assistance of Wrap Zero and GreenSet - under the umbrella of the SA FILM Academy - together with a passionate, dedicated team of consultants, suppliers, management and crew, the aim is to implement a holistic, integrated, environmental sustainability pilot project throughout the course of this production, with Bluewater Trailers playing a vital role. 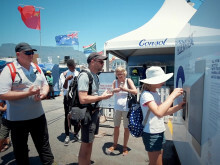 Bluewater launched their trailer service in September last year and has been assisting some of South Africa’s large-scale events, like the Sanlam Cape Town Marathon and Rocking the Daisies, to become more sustainable by reducing their use of single-use plastic while simultaneously lessening their impact by not using municipal water sources. 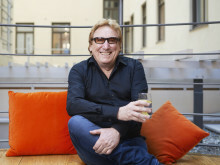 “Sustainability and innovation are at the heart of Bluewater’s business mission and to partner with Film Afrika on such a large-scale and ambitious production as Raised by Wolves, right here in the Cape, is a special opportunity for us. We are incredibly proud to showcase the best of Swedish water purification technology in the Bluewater Pro with the best of Bluewater ingenuity in the Mobile Water Trailer, to serve refreshing and great-tasting water to people working in very testing conditions on set,” said James Steere, Executive Director for Bluewater’s operations in Africa. Bluewater Trailers are an ideal solution to the on-set drinking water needs for large groups of people involved in short- and long-term productions. 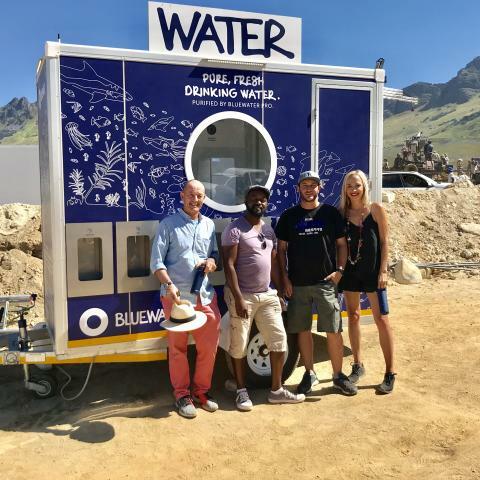 Bluewater, a global water purification technology and products manufacturing company with international head offices in Sweden, is now bringing the Bluewater Pro technology to South Africa, as well as serving the events industry with the Bluewater Mobile Trailer.